Marjorie Sandor has a small gem of memoir essay, “Rhapsody in Green,” which I have read and taught many times, one that each time I read I find myself wanting to look up the sleeve of, as it were, to really get to the bottom of how she does it. Each time I enter the piece, I discover how wholly transplanted I am out of the current moment and into this small reality she has created, “a few years ago, living uneasily in Florida.” Her central theme—that we are beguiled and often seduced to the point of small insanity by the lures and promises of memory—seems above all to have been achieved by a series of recapitulations of single words (green, duck, olives) and the comically haunted phrase, “the day I fell in love when I shouldn’t have.” It’s a small masterpiece of what has come to be readily identified as the lyric essay. Above all, it’s not an essay that you are likely ever to forget, or, more importantly for the purposes of this exploration, that you would ever confuse with another. Scott Ely achieves the same success with his essay, “Random,” though by quite different means. The large insanity of war experience defies integration, a truth demarked by the title of the piece itself. Words are pedestrian, straightforward, and there’s even little complicated syntax in the piece, but the result is a curious and enthralling kind of game between the ordinary and bizarre: “I lay in a clump of bamboo outside of Pleiku and watched the shell fragments, glowing red in the night, come sailing toward us.” In the next moment, Ely is talking to an archeologist, and in another he’s on an airplane, scenes shifting back and forth, sometimes quickly, sometimes not, that replicates that modern experience of transportation, though in this case the “transport” is outside the realm of normal, direct experience. We begin to understand that in order to comprehend Ely’s language, we’re going to have to get used to the density not of words, but untranslated, “transported” experience. And again, as you’d not likely mistake Sandor’s essay of love and memory for another, it’s not likely that you’ll mistake this essay of war and its trauma for another, or the language of war experience created here for one created elsewhere. When I find myself falling into a memoir—falling in to it, responding to the summons to “come on in”—it is because I am learning a language I didn’t know before, and it is not the language of simply subjective experience, or passion, or titillation, nor is it the language of either sincerity or cleverness. I come back to both of these essays and others like them so often because the authority of the piece does not rest in the fact that I have accepted that the author (the I) is saying what is being said, but because I have perceived that the author has created a particular, necessary language created for the piece and for my understanding of and presence within it. Language functions, of course, symbolically, by which we mean that language creates something— experience, understanding, communication. But language is not just what’s in the petri dish of communication, it’s also the dish itself. It’s the cooker and what’s being cooked: the creator and what’s being created. In Sandor’s language, the expression of that nagging experience we all have had of “What was that again? Was that it? Was that it?” is created by and within the sheer density of words, as if, when you come into this country of hers, you know you better arrive with a fairly heavy arsenal of sheer verbiage to get you through it, with the understanding that whatever you bring, it likely will not be enough. It’s not the same thing as simply coming up with a lot of talk, which might be useful in another piece but would achieve a very different effect; in fact, here the incongruence of lavishness (“lushness” as Charles Baxter would have it) is used rather to produce absence and scarcity. In Ely’s piece, though, we may feel the opposite, that not enough words were brought along, and that we have to learn his language at the levels of unity and coherence which are simultaneously profoundly present and profoundly hidden. There is no sleeve here, as it were, to look up—yet regardless of how familiar the words are to you, the experience of his created language lifts you up by your own sleeves and slams you down—randomly—over and over until you understand that you are in some kind of land created out of nearly no-language. Events have been recounted—randomly—but what’s articulated happens inside you, beyond the reliability of those very familiar words. Yet far too often, I have observed that the memoirist tends to rely not on a necessary language, created anew as these have been with the exigencies they demand. They rely rather on a kind of prefabricated patois of creative nonfiction that has come into being over the relatively short lifespan of the genre itself, which many of us (including myself) are tempted to and do hide ourselves behind when we write. We recognize when a prose writer is doing this in the same way that we have that intuitive and largely inarticulate sense of whether or not we can tell the “presence” of the poet in a poem—and not having such a sense can mean that we read that prose or poem as unsuccessful. In memoir especially, though, the presence of the author and how the author discloses presence has a great deal to do with how invited into the work one feels, and how likely one is to stay there (and “presence” here should not be identified with either “closeness” or “distance” or that one ought to be preferred over the other). In my own reading, if it seems to me that the nonfiction author is using a pre-fabricated language, I also wonder if that choice may in fact be a way for the author to avoid disclosure while asserting (if not retaining) authority; that in fact what the author is simply doing is asking us to stay with the piece “because I said so.” We all have a story; many of us have nearly the exact same story, and most of our stories contain the heart-breaking, the mundane, the outrageous, the transformative. But for our stories to be expressed as the stories that just have to be told, every element in the narrative, from cadences of speech to sensitivity of interpretation, to diction to syntax to suspicion of audience, needs to be reflected in the creation of the imaginative language of that story. Therein, I suggest, lies the true authority of the work. It may be that memoirists especially rely more often than they should on this self-appointed authority or on a pre-fab kind of language scaffolding. There are many examples of memoir that relate in an already-known language life stories that are often interesting, but whose telling fails to be compelling or memorable; we are familiar with these and there is probably no reason to name them particularly (however, works we identify as “literary” as opposed to “commercial” or “popular” are not always a reliable indication of whether the work falls into this category or not). I suggest this is due at least in part if not entirely because the author has relied on the authority of the scaffolding rather than on the authority of a created language. My mother was a pretty terrible person, but I was fascinated by her. She had a long, thin wart right in the center of her forehead, just above her eyebrows, that ended in a tiny little bud, and when I was a very little kid I used to wonder why she didn’t just bite it off. This led to my lifelong fascination with the conundrum of the physical impossibility of biting yourself on your own forehead. I know there were times I would have offered to bite my mother’s wart off for her, had we had that sort of relationship, but something told me to keep my peace, and I did, which I expect was all for the best, taking the long view. In fact, the wart’s very existence was never mentioned as far as I recall. In later years, when I came to learn about over-the-counter preparations such as Compound W, I would wonder why she never availed herself of one of them, but then I think I supposed that the wart being so near her eyes, it might not have been recommended, in the mysterious way that you were warned not to apply too much pressure to your temples, or told never to look directly into the sun even if you needed badly to sneeze. That last insight, it turns out, is the key to the puzzle. When I saw what I was doing, I began to think about what it means when you get another voice stuck in your mind, and why it is so difficult to knock your intentions—the exigencies that you discover within the piece—out of the park in the first couple of drafts, and why, more importantly, even in what should be the most distinctive of our writing, we begin with one intention but often settle for an entirely different strategy than the one we’d envisioned in order to get at what we’d like to express. I don’t think this happens because of laziness, though it can come from laziness; it certainly can be the result of immaturity or lack of experience. Most of the time, it happens because the memoirist has not recognized that what is required to realize his or her intentions is this creation of a new language for the narrative, and here I do mean language in the small sense, as in “the English language.” When we encounter this writer who is showing us this something we have not seen before, even or especially in places we have been many times, the writer has achieved this through such a creation, has given the reader a new imaginative language. However small the piece, however shopworn the idea, however difficult the terrain we are being asked to tread, we inevitably respond to the invitation to come in when we are being spoken to in the exactly right language we need and want in order to be where we have arrived. Ears, eyes, flesh have been satisfied by this creation, this language that makes a wholly new reality. It’s worthwhile to further reflect on where this side-stepping of the work of language creation is more likely to happen, and in some ways it is even more worthwhile to consider than the individual difficulties of a particular writer. In some sub-genres of memoir especially, less distinctive or identifiable languages are being created for the simple reason that these works are appearing in the numbers that they are. (1) Sub-genres especially susceptible to this are ones that naturally rely on their existing jargons, such as medical and scientific memoirs, in which the sheer numbers of nouns and how they are used take over the language of the narrative. …I let the water freeze in [the rain barrel] and the bottom buckled. The lily of the valley in [my grandmother’s] flower bed that I never rescued from weeds whose names I don’t know. The lines describing her grandmother’s rain barrel suggest both a sparseness and reticence combined with a kind of vastness that, even had you never heard a word spoken in South Dakota, you would come away feeling that you might be able to “speak” its dialect. Further down into the language itself, such sparseness and vastness exactly fit the feeling of spirituality one can experience on the Great Plains, and thus in this way, as language does, the narrative embodies the spiritual reality and makes it present for the reader. Lawnmowers cut through the day as I get farther from the armory. Kids on bikes scream to each other. One boy has taken a tumble. No problem: he picks up his bike and jumps back on. Love of a girl named Cheryl weakened me nearly to illness at age five. The summer I was seven, a cousin of a friend visited the neighborhood for a week. I can’t remember her name, but when she went home, I threw myself on my bed and damned to hell all flora and fauna. “Are you stupid?” we all said. “You’ll never have to worry about it, man,” I said. We already know in the space of a page and a half that we’re going to be fluent in this particular language of deep loss and great love: it is being taught to us moment by moment. We come away from this feeling as if we have been in a time and place we had heard of but not quite known, and then when discovered, again could speak its idioms like a native. We glided around a set of bedsprings left out by workers from a hotel that was being renovated. A boy who sounded like he was around ten years old was jumping on the coils, an activity that made a green and golden noise. Kuusisto deliberately combines multiple experiences and effects to bring the reader to that hyperawareness of experiencing the world through ambient sound, from the smallest noises (I swear you can hear the fog in Finland in places) to the great ones that are so large the sighted have nearly no choice but to drown them out. But his language of sound also teaches one to see, and one continues to speak the dual language of sound/sight throughout this memoir that is—ostensibly and actually—about blindness. The above examples are among my favorites, but of course there are many, many others that would be interesting to think about and describe. The notion that we create a new language is primarily a metaphor for what happens when we’re making writing choices of any kind, but for us as writers a very useful one. What has been created is likely something that we most often recognize in retrospect and revision, though one might also relate to it in the drafting process as that feeling of flow or cooking or being on fire, though possibly not always. And, just as in the “real” world we don’t re-invent every part of our language every time we speak it, we don’t invent every bit of our work every time we sit down to write prose. Some prose genres naturally demand that we do not, and the language families of sub-genres have their usefulness. 1. This is a much larger discussion, but it certainly seems likely that the sheer demands of the market make this “settling” more likely, that “what’s wanted” is becoming increasingly difficult to resist producing so as to increase the likelihood of publication. 2. Christian Wiman’s My Bright Abyss would be a more contemporary example of outstanding work in this sub-genre of memoir. 3. And in many ways understandable; I’m thinking of Ann Patchett’s very popular Truth and Beauty, which suggested to me that perhaps this author was dealing with not being able to get at her deepest feelings by expressing them in an almost shockingly flat narrative that I found very difficult to connect to—although of course there are passages in this book that are quite moving and beautifully written. It could be argued that the language she was creating was intentionally one of flatness and distance; I’d argue that strategy might not be the most effective for the terrain the reader is asked to traverse, but that’s another argument for another day. Poet, novelist and nonfiction writer, Adrian Koesters holds an MFA in poetry from the Rainier Writing Workshop at Pacific Lutheran University and a Ph.D. in fiction and poetry writing from the University of Nebraska-Lincoln. Her nonfiction has appeared in Under the Gum Tree and in the anthology Becoming: What Makes a Woman, and her nonfiction book on spirituality, Healing Mysteries, was published by Paulist Press. 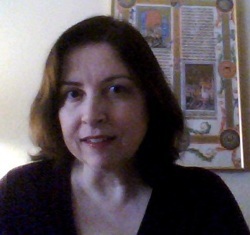 She has taught writing at the University of Nebraska-Lincoln and Creighton University, and lives in Omaha, Nebraska.